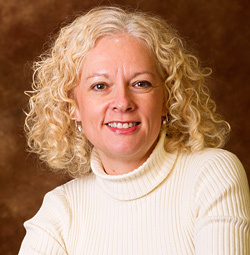 Diane A. Tennies, PhD, LADC has a state-wide private practice as a psychologist specializing in forensic evaluations in a variety of settings including in both civil and criminal courts. She has evaluated hundreds of individuals and been designated an expert witness in District and Superior Courts in Maine. Dr. Tennies is licensed as a psychologist and alcohol and drug counselor in Maine. She has been a rostered Guardian ad Litem since 1999 and has extensive experience with chronic conflict family matters. She is the vice-chair of the Guardian ad Litem Review Board and also serves as an expert witness in a various of capacities. She also conducts trainings for psychologists as well as other professionals. She is a past-president of the Maine Psychological Association and is presently the chair of their Legislative Committee. Dr. Tennies also has a subcontract through the Department of Labor to provide consultation for Job Corps’ Health and Wellness Departments and their drug and alcohol programs (called the Trainee and Employee Assistant Program). © 2019 Diane A. Tennies, PhD, LADC. All Rights Reserved.